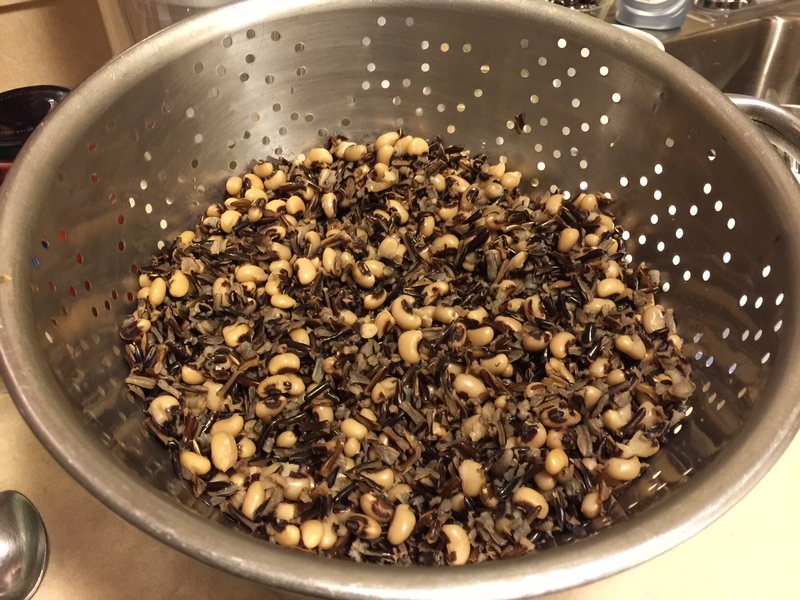 Made with wild rice, black eye peas, edamame, fried mushrooms and veggie sausage. Add some smoked paprika, turmeric, allspice, and maple syrup for sweet, some salt and freshly ground black pepper, and the dog eats like the human. And so it should be! Combine rice and peas in colander and rinse well and drain. Place both in large saucepan with 5 cups water (no salt). Bring to boil, reduce heat to low, cover tightly, cook 50 minutes or till tender soft. 2 c. froz. 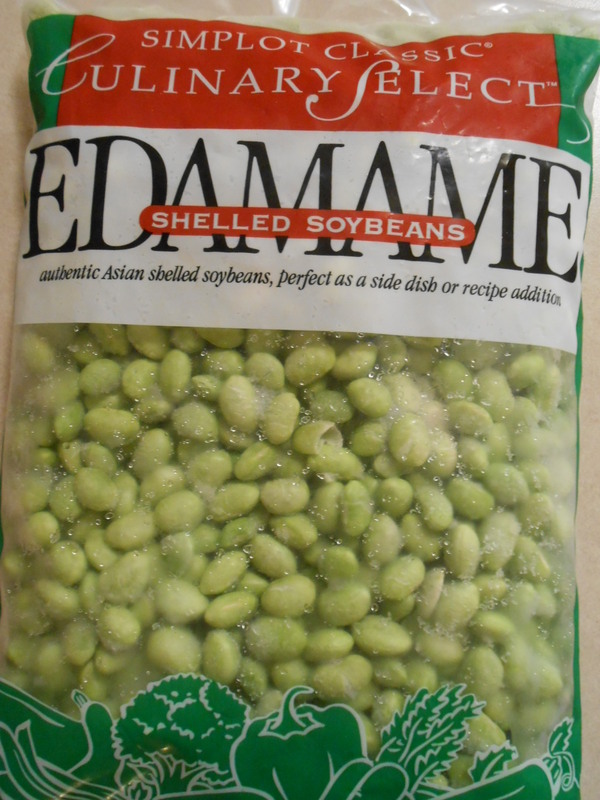 edamame, thawed, then cooked in water to cover till tender soft. Drain and set aside. 8 oz. crimini or white button mushrooms, diced and sauteed in extra-large skillet, over medium heat, with salt to taste, till browned. Add 14 oz. 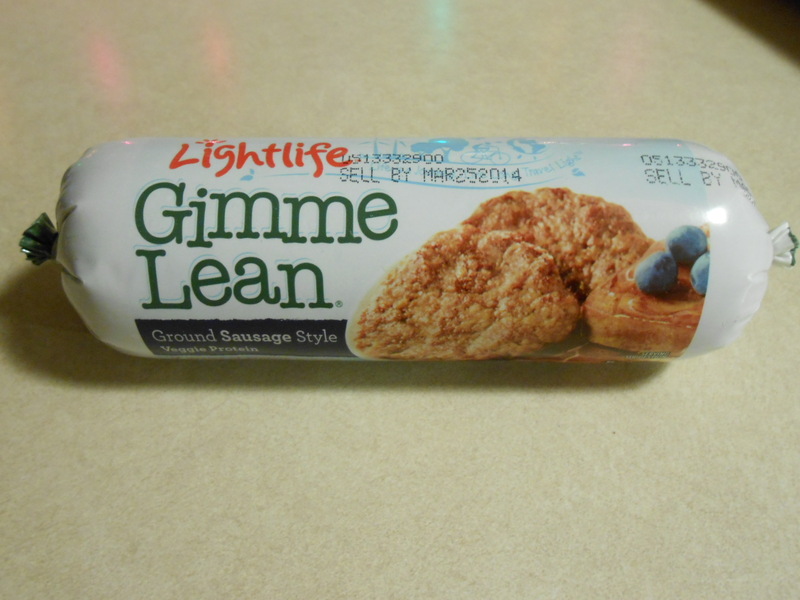 Gimme Lean Veggie Sausage; pinched into skillet with mushrooms. Saute till browned on some sides, then mash with potato masher to crumble sausage – not too fine. Continue to fry till browned. Add rice/black eye peas/edamame to skillet. Stir well. Stir well after each addition to disperse evenly. Cook about 10 more minutes, stirring now and then, while spices move into the food. Notes: Lilly Belle loves this supper dish. Sometimes for breakfast too.